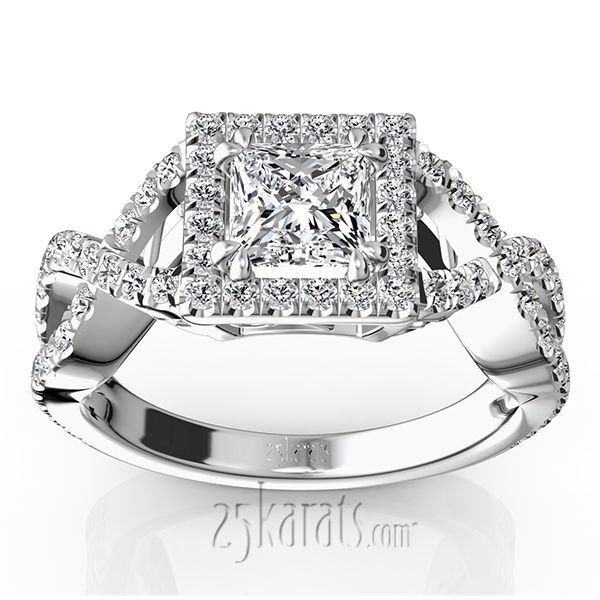 This twist shank engagement ring is finished with a square halo to showcase the center stone. Your choice of princess cut center will be set with split claw prongs. 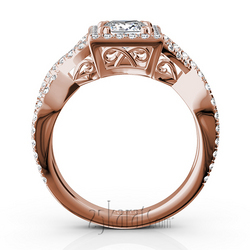 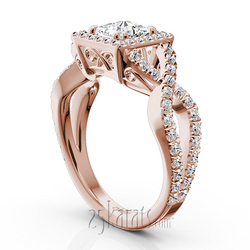 Engagement ring is furnished with 0.70ct micro pave set side diamonds. This ring is available in 14k, 18k, platinum and palladium. 0.70 ct. - 1.25 ct.